THE LONGEST WALK, (42:00 min.s) recorded in a public forum Mar. 20, 1980 at Boulder, Colorado. 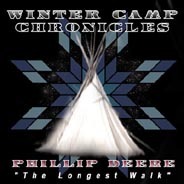 In this speech the late Phillip Deere explains the basic reasoning for the American Indian Movement, as well his involvement in that movement. 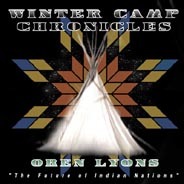 THE FUTURE OF INDIAN NATIONS, (74:00 min. 's) recorded in a public forum Feb. 3, 1989 at Boulder, Colorado. In this speech Chief Lyons relates the survival and future of Native people to our responsibility in the greater common cause of the survival of humankind. TRIBAL SOVEREIGNTY, (55:30 min. 's) recorded Mar. 21, 1989 at Boulder, Colorado. 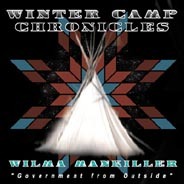 In this speech, the late Chief Mankiller reviews the history of the Cherokee experience, the evolution of Cherokee tribal government and her personal experience of being a woman Chief in tribal government. PERSPECTIVE OF MOTHER EARTH, (53:00 min. 's) recorded in a public forum April 18, 1990 at Boulder, Colorado. In this speech, the late John Mohawk suggests a transformation in the human socialization process that develops a connection to Nature as an appropriate response to concerns of human survival.